Our 20ft storage containers are incredibly versatile. A must for residential storage, they’re just as perfect for construction storage, retail storage, and industrial storage needs. The dimensions of this particular portable storage unit make it ideal for locations and uses where space is a concern. A.B. 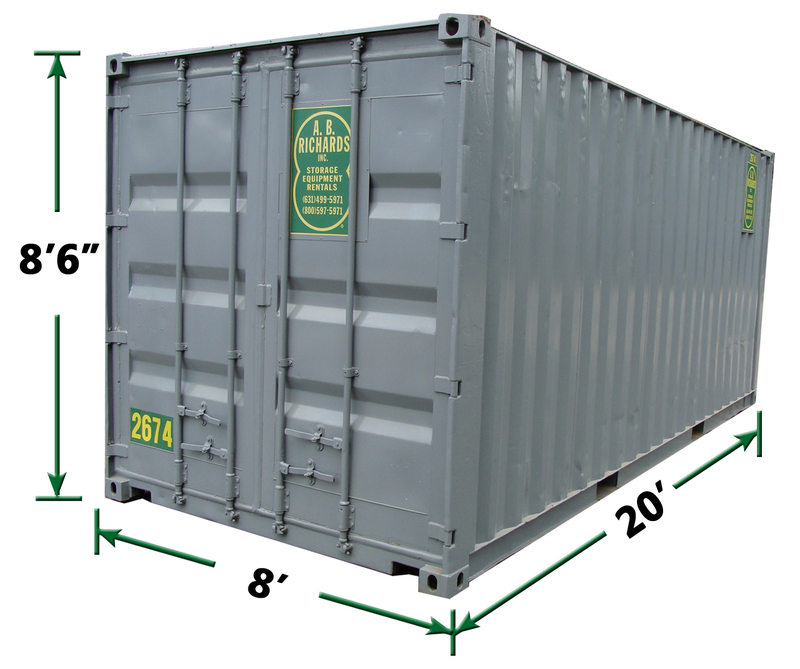 Richards’ 20ft storage containers are made of durable and strong 14-gauge steel. The 1 3/8” hardwood floors can support a maximum gross weight of 44,800 lbs. The portable storage unit has two large doors on one end, providing easy ground-level access. It also makes it easier to store large items. Our steel storage containers are a neutral gray color so they easily blend into most surroundings. Because of its versatility and sleek appearance, the 20ft Storage container is our most popular product. It’s also far more convenient than self-storage and very affordable in comparison to other on-site storage containers. The monthly rate for competing units is more than twice the cost of ours and less than half the space. For secure, weather resistant, lockable, cost-effective, convenient storage solutions, call us at (877) 208-8253 or fill out our online contact form for a free quote. We look forward to exceeding your needs!